A real cooking apple is tart and will "fluff" into a puree when cooked. Have you ever wondered what makes apples do that? A tart or sour taste means there is a high level of malic acid in the apple and this acid breaks down the apple flesh when cooked. Regrettably heritage cooking apples are difficult to find except perhaps at Farmers Markets or from a friend's home orchard. Recently we escaped city life for Northland. It's the first time I have visited Whangarei Heads in the East and the Hokianga Harbour in the West. At Whangarei I met truly inspirational people involved with Backyard Kiwi. They are working hard to ensure the kiwi will be safe in their part of New Zealand. Kiwi are not only just surviving there, they are increasing in numbers. From our friend Heather's B&B at Omapere looking out to the entrance of the Hokianga Harbour. You walk down her garden to the beach and perhaps you can just see Peter taking a swim centre frame. We ventured over to the equally beautiful Hokianga Harbour where I couldn't resist a bag of quince for $1.50 at a roadside stall. Arriving home with my Northland produce I discovered a box had been delivered from Dunedin. 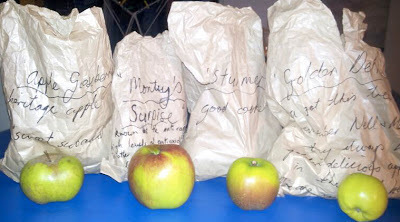 My sister Kerry sent me four types of apples labelled in brown paper bags all grown in her home orchard. These apples are precious and not to be wasted. I have decided to find a good recipe for each sort of apple and the quince will also get a look in. After dinner Peter often slices up an apple and shares it around the table. Our grandson Beau loves eating apples this communal way and somehow apples sliced for you taste better than biting into a whole apple. The Golden Delicious is an apple that was very popular when we were young because of it's sweetness but has gone out of favour for the juicy red eating varieties on offer. Being a romantic Kerry decided to plant a tree because of those childhood memories. She knew we would enjoy the sweetness of this greeny-yellow eating apple as part of our regular apple eating routine after dinner. are truly delicous especially served with custard. 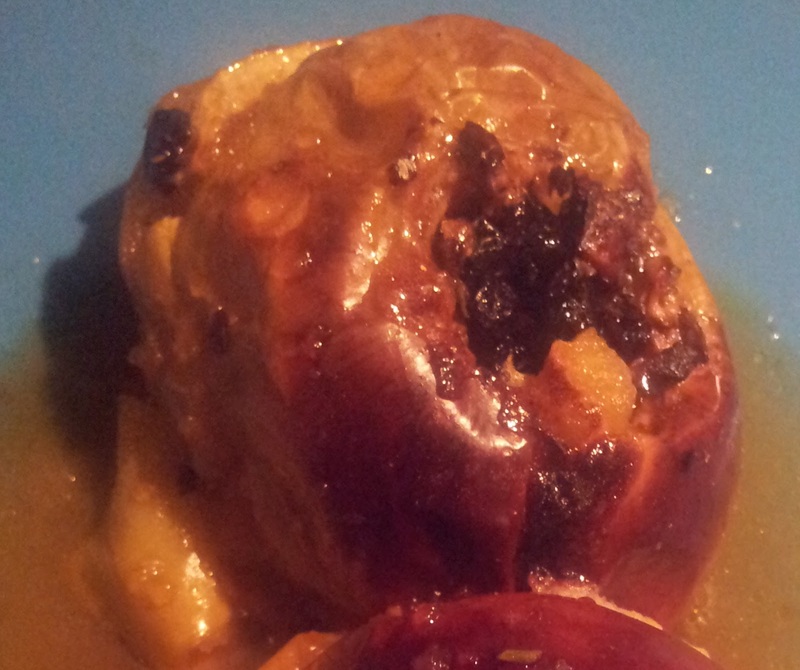 I used to wait every year for Mum's Peasgood Nonsuch massive apples that I would stuff and bake. This time I am using Kerry's Monty's Surprise apples for a different method of baking apples from "A Cook's Year in a Welsh Farmhouse" by Elisabeth Luard. 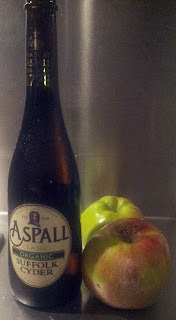 I like this recipe because it unusually uses Rosemary and the apples are cooked in cider. Preheat the oven to 180C. Core the apples without going right through at the stalk end (if you can - if not it doesnt really matter). Arrange the apples in an ovenproof dish, in which they will just fit. Stuff the cores with walnuts, rosemary (and currants or any other dried fruit you desire). Pour in the cider, trickle the honey over the stuffing and dot the apples with butter. Cover with foil and bake for 20-30 minutes until the apples are perfectly soft. You can also cook them long and slow. If you are using a metal pan you can transfer the apples to a serving dish and cook the sauce on the stove top. If, like me. you cook the apples in a ceramic dish, then add some fresh cider to the dish to clean out the remaining juice and scrape up all the little brown bits and add to a pot. Add more honey to taste with a little more butter and cook until it bubbles and becomes the consistency of a sauce. Serve by spooning over sauce and offer with either whipped cream or yoghurt or custard. are just not dry enough. In England they use particular apples bred for cider production. Research has indicated apples contain substances capable of reducing the risk of some cancers, cardiovascular disease, asthma and diabetes. 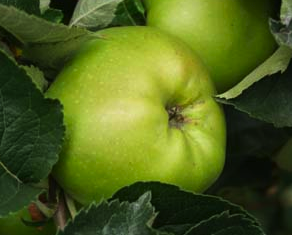 The NZ Tree Crops Assn has tested up to 250 apple varieties and discovered the heritage variety Monty's Surprise had several times greater quantities of those beneficial compounds than that of commercially available apples. The Central Tree Crops Research Trust, in conjunction with the Central Districts Branch of the Tree Crops Association have been acting as New Zealand's "Johnny Appleseed" distributing apple trees first in the Wanganui district in 2006 and steadily spreading out to other areas of New Zealand and Australia. Good on them for sharing, so that Monty's Surprise with its health properties can be available to us all. The Gooseberry apple may be new to me but it was first recorded back in 1831 in Kent, England, where it became a popular apple in the London markets. Its claim to fame (as the name suggests) is that it's one of the most acid apples around, so it will produce a good tart puree. I will use this tart apple in combination with beetroot as a warming and healthy winter soup that I discovered on The Guardian website by Allegra McEvedy. Put a wide, heavy-based pan with a lid on a medium heat and melt the butter, then add the seeds. Sweat the onions with the spices, keeping the lid on and being careful not to let them colour. 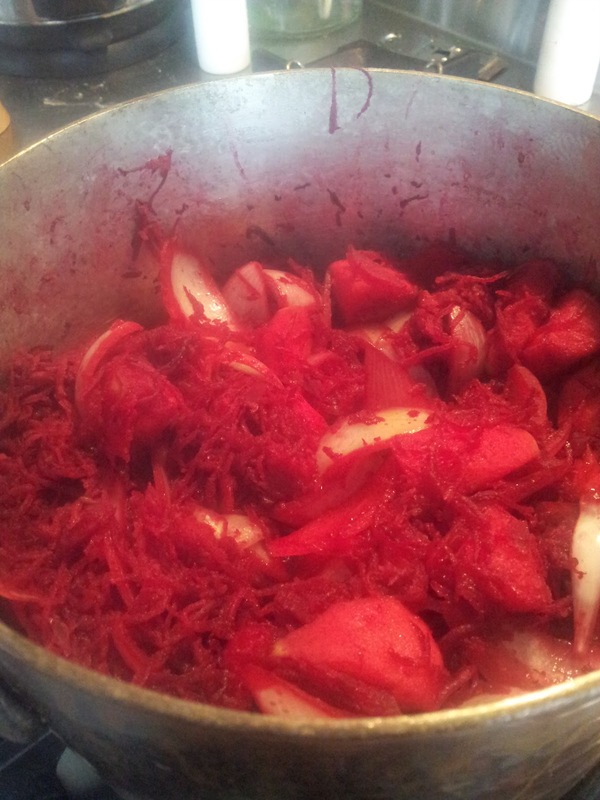 Tip in the grated beetroot and stir well. Slice the core out of all the apple quarters, chuck the apple in too and put the lid back on. Fry for about 10-15 minutes until the beetroot strands begin to soften. Pour in the stock, turn the heat up, drop the star anise in with some seasoning and put the lid back on. Once it has come to the boil, turn down the heat and simmer for 5 minutes. 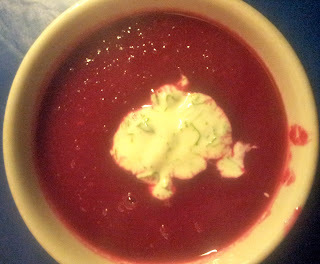 The soup is a magical colour and the tart apple adds a bite almost like adding lemon does. It's time to bring the Quince to the party. I discovered a sorbet recipe in "River Cottage Everyday" cookbook from Hugh Fearnley-Whittingstall's television series...yes another sorbet! Well, it gives me an instant dessert in the freezer if we have people around at short notice. Besides, the colour in Hugh's book looked so enticing. The Bramley apple appears to be a favourite English cooking apple but I thought I would use Sturmer Pippen apples to add bite to the fragrant quince. 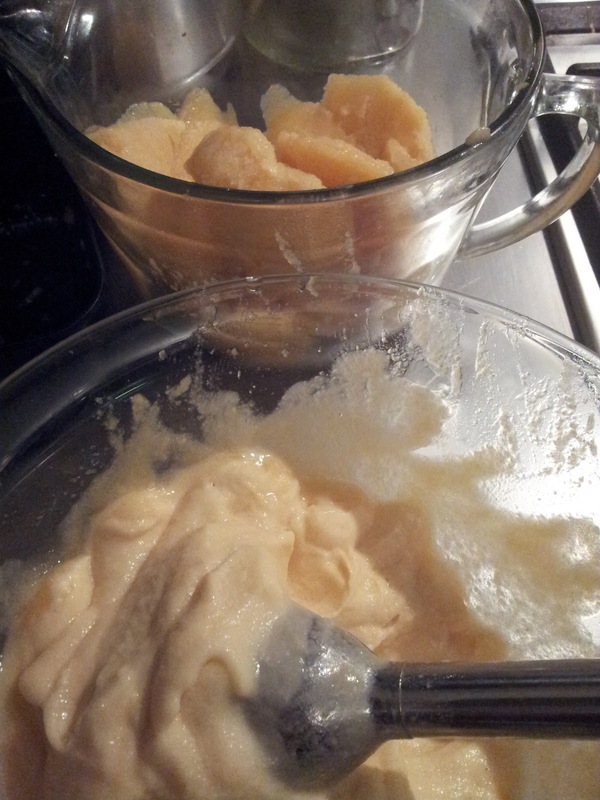 right the two combined and cooked up in a sugar syrup for Sturmer and Quince Sorbet. You could reduce the sugar if you add some alcohol as both assist in keeping the sorbet soft and not icy. In a large pan that will take all your fruit, put in the sugar with 500 ml of water and heat gently, stirring to dissolve. Add the quince, bring to a simmer and cook at a gentle bubble for 20 minutes, stirring occasionally. Add the apples and cook for a further 10 minutes or until all the fruit is very soft. 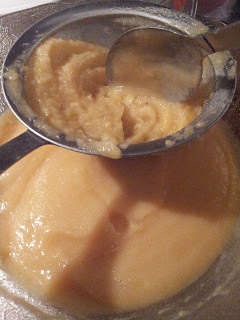 Blend to a puree using a stick blender in the pan or in a jug, then add lemon juice to taste - about 2 tablespoons should do. Pass through a fine sieve and allow to cool. but it will take out a lot of the graininess in the quince. You can see the two different textures in this photo. If you have a mouli then I recommend using it to cut down the time. 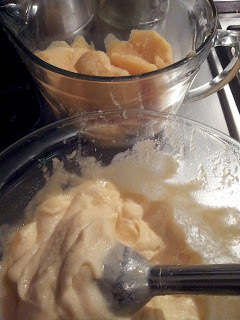 Pour the puree into an icecream container and freeze overnight or for a day. Now you put the frozen puree into a bowl or jug and the ideal instrument in the kitchen for this job is the stick blender attachment you use to puree soups. whipped up into what looks like a creamy consistency. I like to do this process a couple of times and if you are keeping it for a while then check that it doesnt need another cream up a day before using. 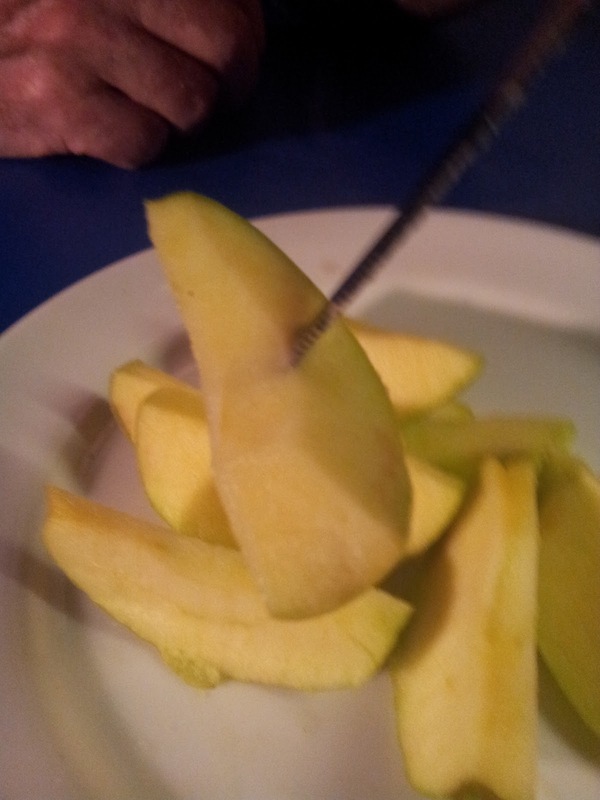 The sorbet has a real tang and is smooth. The tang goes really well with the sweet shortbread. 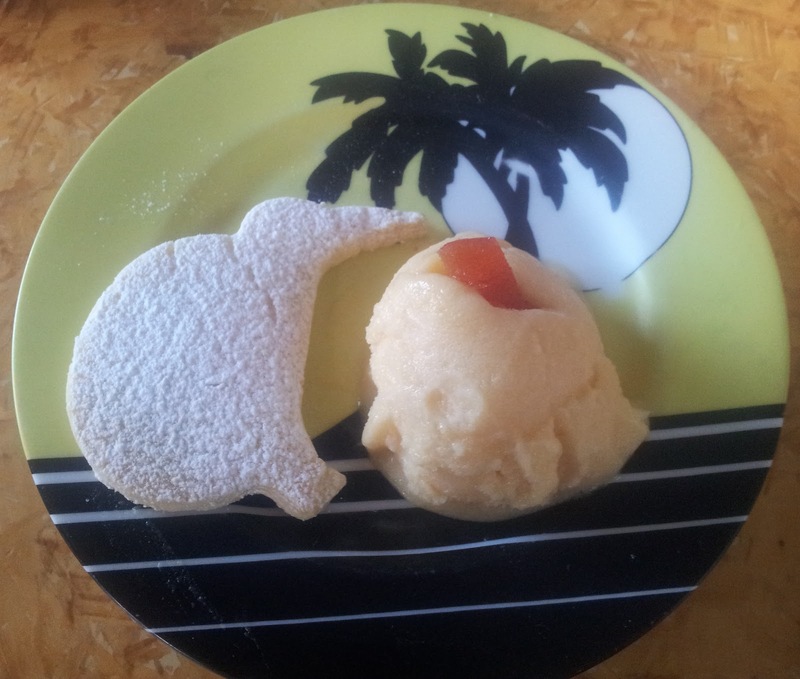 Ginger biscuits or a couple of brandy snaps are also excellent partners for the sorbet. I served the sorbet with some shortbread kiwi to celebrate the great work our friends are doing in Northland to bring the kiwi back for all of us. By the way this cookie cutter and the map of NZ cookie cutter is made by an enterprising Dunedin company. I also added a slice of the quince cheese I made from the Northland quince but that I will keep for another day.